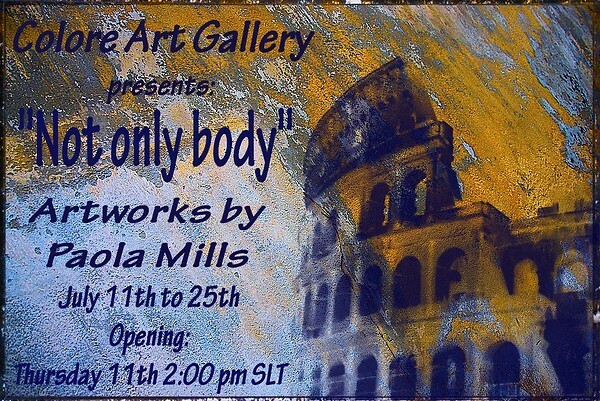 You're invited to meet us iw in COLORE Art Gallery on July the 11th 2013, 2:00 PM SLT (23:00 CET) to enjoy the grand opening of "Not only body" a selection of artworks by Paola Mills in which the avatar's body is the main actor and it changes both in shape and essence, bends, moves, jumps and acts to express the artist's innermost thoughts and emotions! 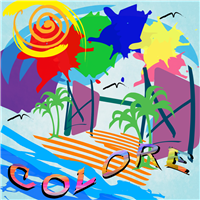 This group is meant for Second Life artists who wish to share the best of their works, get news about Colore Art Gallery events, contests and news or just candidate themselves as interested in presenting their own exhibit in world. Read our guidelines before submitting and Colore Art Gallery infos to join us iw!